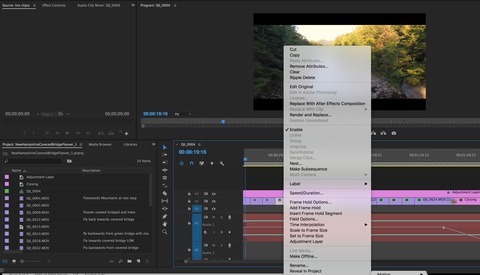 Premiere Pro 2019 is upon us and if you’re a video producer or looking into getting into video, there are some significant changes that that you’ll find speed up your workflow. 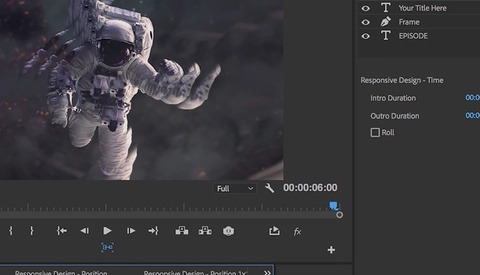 This video showcases the new audio and Motion Graphics capabilities that have all become easier to edit right inside Premiere Pro without the need to go to After Effects or Audition. If you’re adding text for your intro you will be able to change the font inside Premiere Pro. Up until now we’ve had to go to After Effects, change it there, save it, and have the dynamic linking update the Premiere Pro file. This means you’ll be able to download a motion graphics template from a stock library, use it, and go through various font types to differentiate and essentially create a new, unique style of the graphic. One of the most important aspects of great video is the audio. With this update, the audio cleanup function in the Dialogue menu has enhanced noise reduction and also a slider to reduce reverb. Recording video on your DSLR and recording sound in-camera (without a mic) often causes reverb and noise. This update negates it. They’ve also enhanced the Lumetri Color Panel with a wide range of curve adjustments and it’s a great addition to a video producer without the budget for a colorist. Premiere Pro is my go-to for video editing, and it’s not just because it’s included in my Creative Cloud subscription. 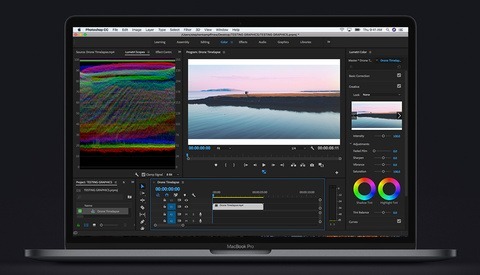 It’s becoming easier to produce professional video with motion graphics, audio enhancements and color adjustments, right inside Premiere Pro. The update should be released by the end of the year. I'm interested in what fixes they will add. GH5 vids played on full render preview no problem in last update and now is sluggish as hell. Color tab still crashes if you have the rgb parade. Adobe is garbage. This release is a perfect example of how lazy they are. Remember when they used to have to entice you to upgrade with actual new and useful features? And when they do add new features, they are worthless in a professional environment. New audio tools- probably sound like garbage, designed for idiot amateurs who record sound with the mic on their camera. Resolve is WAY better than adobe's garbage. Blender has come a long long way. Both of them have node based visual effects. After Effects STILL doesn't. Want to know why? Because you suckers have to send them money every month regardless of what they do. There are tons of bugs that have been around since CS6. Dozens of pages in the Adobe forums of people begging them to fix the bugs are ignored year after year. It's time for people to start dumping this company. They do NOT deserve the position they have in the marketplace, and it's only a matter of time before Open Source software takes them down in burning flames. 100% I agree with you so strongly that I signed up just to say so. Adobe is trash, it's a very unsupportive company to is community, their input and needs. Davinci blows premier out of the water. Problem is Resolve is painfully slow... Impractical for real work on my computer. I'll tell you what's new, no damn audio in the timeline works after converting from 2018. It's a known issue and is being worked on but I can't believe that crap makes it past testing.